The Magnetic Fields On 'Realism': 'Orch-Folk,' Played By Hand Songwriter Stephin Merritt describes his band's new album, Realism, as a "Whitman's Sampler" a la Judy Collins. With bandmate and manager Claudia Gonson, he performs at NPR, and talks about creating a variety show of folk music. Stephin Merritt of The Magnetic Fields. 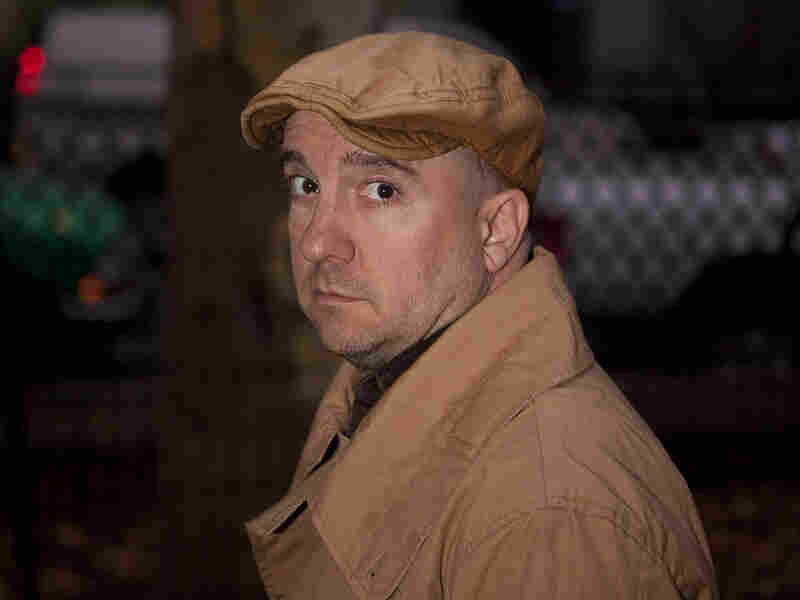 The creative force behind The Magnetic Fields is singer-songwriter and multi-instrumentalist Stephin Merritt — often called one of the best songwriters now working. In the past, The Magnetic Fields has been described as an indie rock band. Its last album, Distortion, was a tribute to the post-punk British group The Jesus and Mary Chain. But Merritt describes his new album Realism as "orch-folk," as in orchestral folk a la mid-'60s Judy Collins. "I tried to make a variety show within the big tent of folk — whatever folk is," he says. In an interview and studio performance at NPR headquarters, Merritt and bandmate/manager Claudia Gonson tell host Guy Raz about what Merritt describes as a "Whitman's Sampler" of an album. "It also mirrors the mission of folk music, in the way that it has — there's all these stories, and a lot of them are done in radically different production approaches, but they're all unified by a sense of 'hand-played-ness,' " Gonson says. Many of Merritt's songs, on Realism and beyond, clock in under 3 minutes. "If you can't say it in 3 minutes, why say it at all?" he says. "When I sit down and put pen to paper, I'm generally sitting around in a bar, with a cocktail in one hand and a pen in the other," Merritt says. "And what I'm thinking about is rhymes more than I'm thinking about characters. And I think the characters make themselves." Realism represents the last record in what he calls the no-synthesizer trilogy. After using synthesizers heavily in his early albums, Merritt became bored, and challenged himself to make an album without them at all. He made three: i, Distortion and now Realism. "There was no new sound, no new technology, no particular novelty anymore," Merritt says. "When I grew up, every new record had new sounds, and that's really not the case anymore." Merritt got about as far away from synthesizers as you can possibly get while recording Realism. In fact, he had Gonson play a branch of dry leaves for the album version of "Almost Already Gone." When asked what fans can expect next from The Magnetic Fields, Merritt says he has no idea –- though he has been buying new synthesizers in preparation for the band's next record.